The arrangement will see the Reds contest home Women’s Super League, FA Women’s Cup and Continental Tyres Cup games at the stadium, and train at the club’s campus. "We are all delighted that Liverpool FC Women will be moving to Prenton Park and excited to be able to use the fantastic facilities on offer at Tranmere Rovers FC," said LFC chief executive officer Peter Moore. "We are hoping that the move will help to boost attendances with the stadium being located close to Liverpool city centre. The team cannot wait to have Prenton Park as their permanent home having witnessed the fantastic support on show at the stadium so far this season." 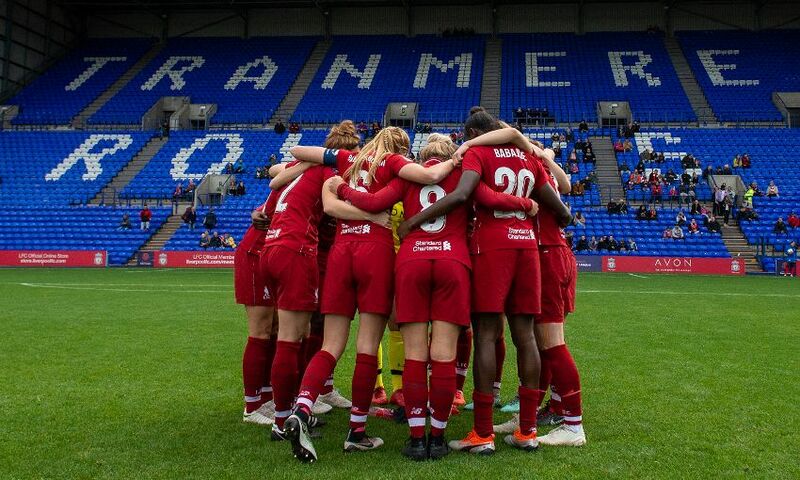 Tranmere chairman Mark Palios added: "We are pleased that Liverpool FC Women will play all of their home fixtures for the next three seasons at Prenton Park alongside holding all of their first-team training sessions at the campus. "We have a long-standing relationship with Liverpool Football Club, including hosting their U23s and U19s men’s fixtures in recent seasons and an annual pre-season friendly in which our first team plays against Liverpool’s first team at Prenton Park. "Building on this relationship, Tranmere Rovers Football Club will become a home for Liverpool FC Women to train and host their first-team programme, enabling Liverpool FC Women to be an essential part of establishing the WSL and the women’s game in the UK."